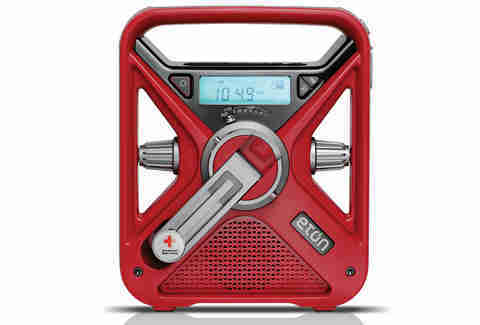 Never let power outages or inclement weather disconnect you again with the all-powerful American Red Cross FRX3 Weather Radio by Etón Corporation. 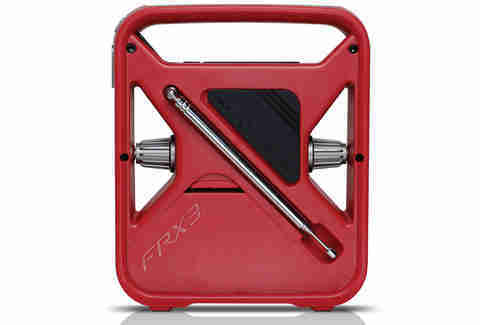 With 4 different power sources--crank, solar panel, rechargeable battery, or regular battery--the FRX3 has you covered. 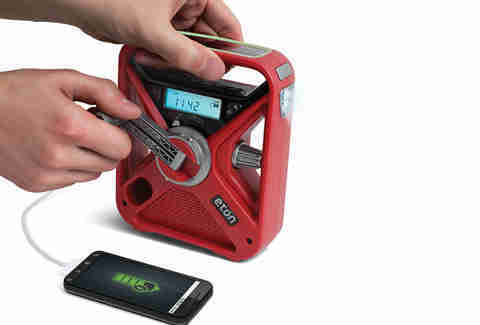 More than just a radio, the FRX3 is also a flashlight, speaker, and USB power source for charging smartphones. A glow-in-the dark locator means that you can always find the FRX3, even when caught by surprise. One minute of hand cranking will give you about 15-20 minutes of power, so you're never left in the dark. Leave the alert setting on if you want the FRX3 to automatically broadcast local weather alerts. 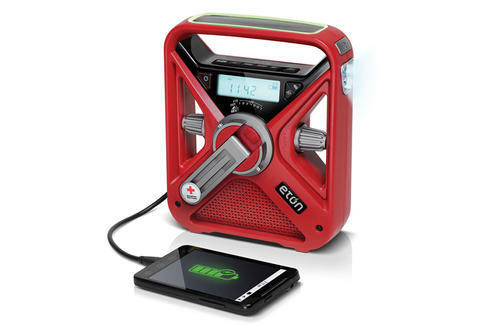 Or use the auxiliary input to throw an awesome blackout party.